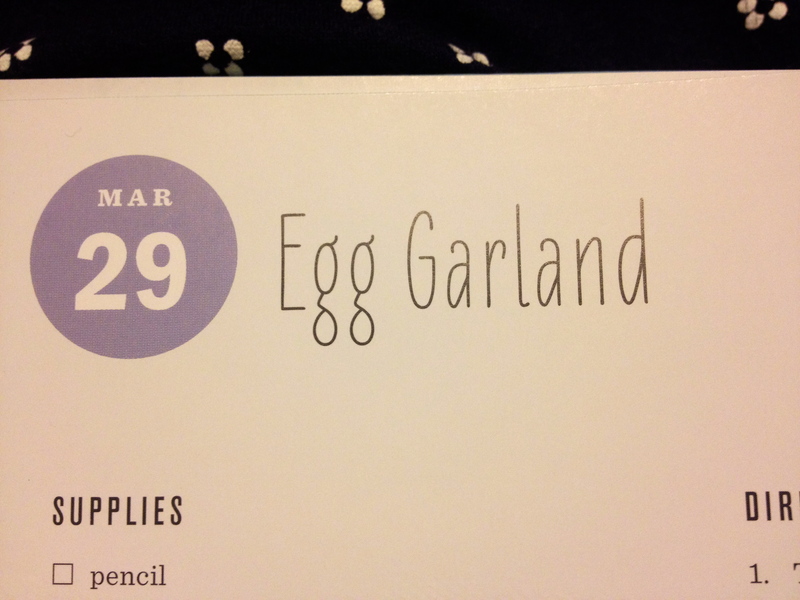 ← hard boiled, easy over, poached, scrambled…. so many ways to eat eggs! 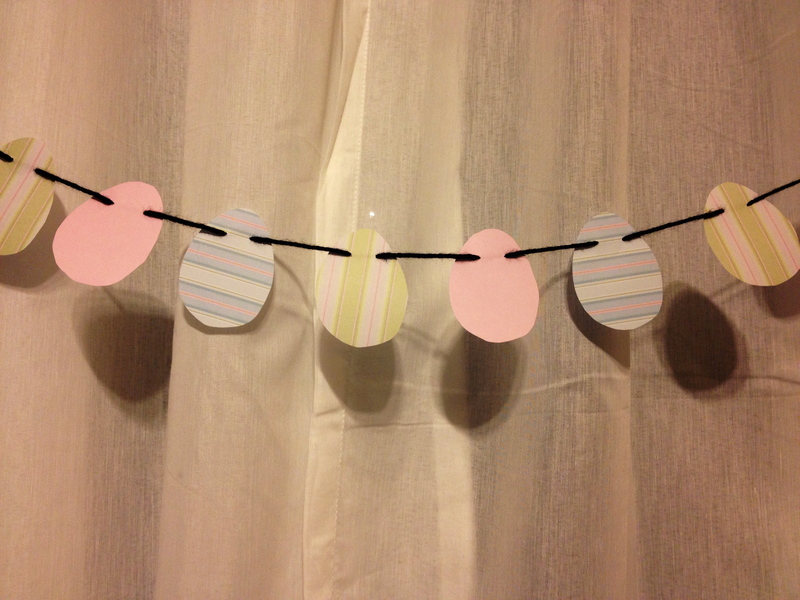 Today I made a garland from eggs. They’re striped, patterned and crafted using soft pastels. Have you ever hand painted eggs? How do you do it? Feel free to construct your own tutorial with pictures in the comments below. I was going to do dyed eggs this year but didn’t get around to it. 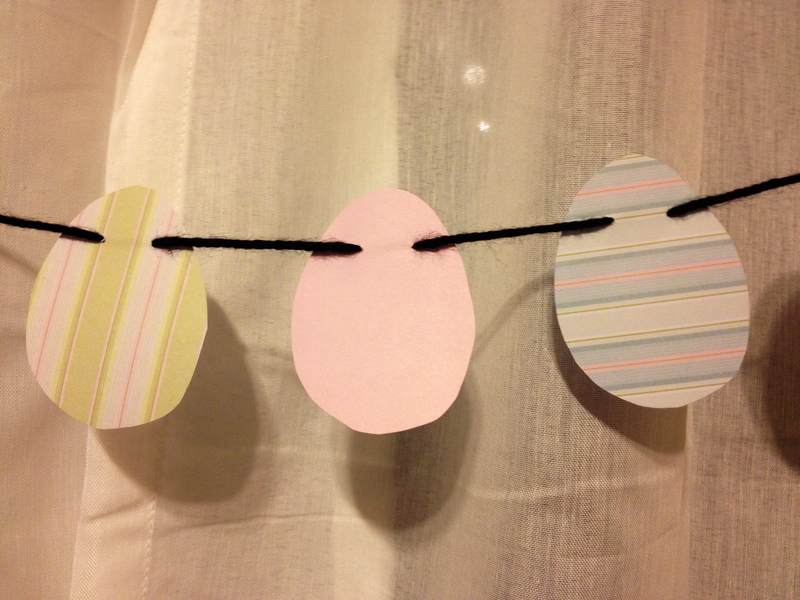 there’s a cool tutorial on my easter board on Pinterest I found that I was going to try using a leaf as a resist shape to make a pattern on the egg. next year!